If you’re anything like me, you tend to be pretty hard on your gear. Sometimes it’s just too difficult to buy anything nice because deep down you know it’s only a matter of time before you lose it, crush it, or drop it. Sunglasses are the prime example. Yes, more than once I’ve been that idiot snooping around like a creep, frantically asking total strangers (and amused friends) if anyone’s seen my sunglasses…while they’re either perched on my head or still on my face. But in many ways Zeal Optics has provided solutions to these problems be they legit or of my own doing. 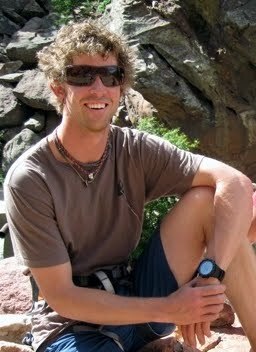 I spend about 300 days a year in the high-alitude, not-a-cloud-in-sight-my-skin-is-igniting mountains of Colorado. Many of those days are spent thrashing myself and my gear. If a piece of gear can’t hold up, I callously leave it by the wayside; life’s too short to spend even a little of it futzing with stuff that doesn’t work. For the most part, though, I put on my Zeal sunglasses and never think about them again. I prefer bigger frames that offer more coverage and protection from the intense, high-altitude sun, frames like the Flyer and the Emit. They offer great protection and do what they’re supposed to do: function perfectly while staying out of my way. Miraculously, I still have the same pair of original Flyers after countless forays into the mountains. I’ve dropped them, sat on them, stuffed them into the pack, ripped them off my head in some glorious ski wreck, stretched them, tweaked them, and more. Not only have they endured but they haven’t loosened up or chipped or had any of the other common faults found in a lesser brand. But should I ever break my glasses, I’m comforted by the fact that Zeal offers a lifetime warranty as well as an excellent Crash Replacement Program. 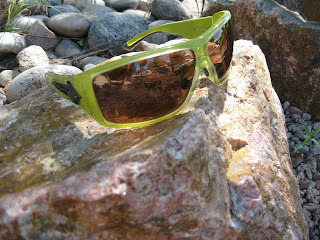 Check out the Zeal line at ZealOptics.com. Wow I would also like to have a Zeal Optics glasses! I love the outdoors and I think this is something that will be very useful to my treks.